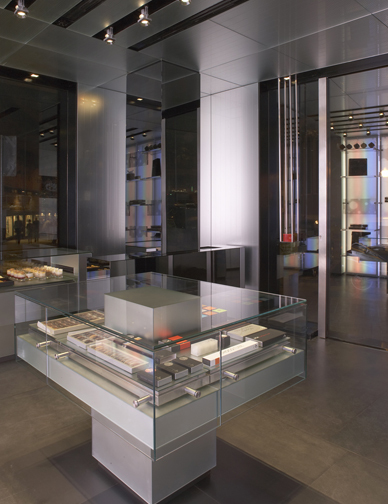 The interior design defines a contemporary and flexible space where the absence of counters allows customers to move freely. 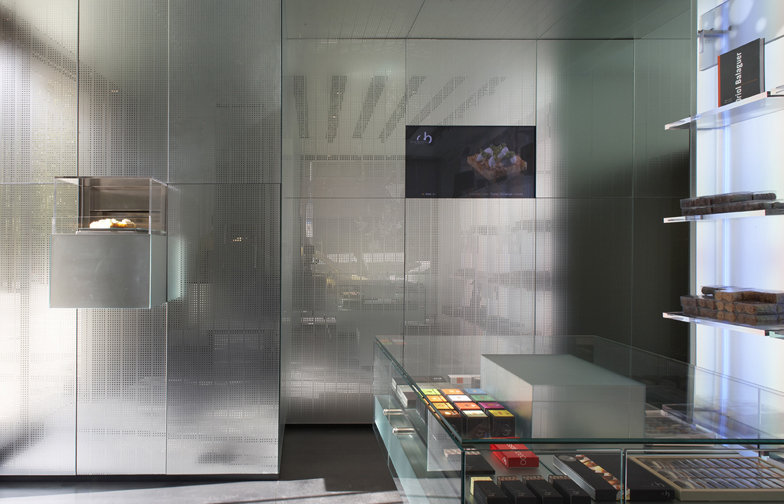 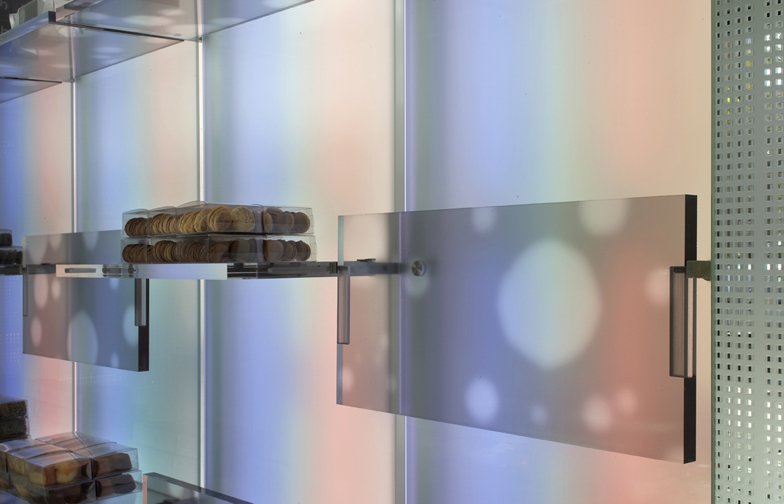 The space is conceived as a glass box wrapped with silk-screened pearlescent mirror offering an alternative perception of the product in which images and colours are constantly mixed. 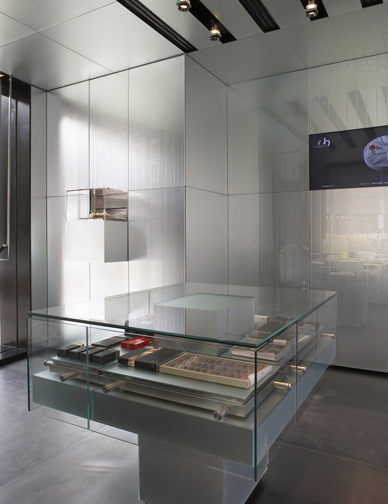 Sculptural pieces extruding from the floor and the walls become product displays and counters. 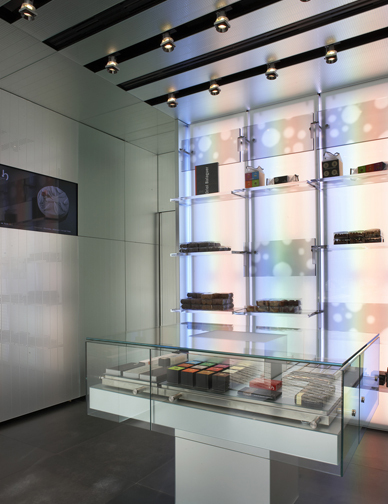 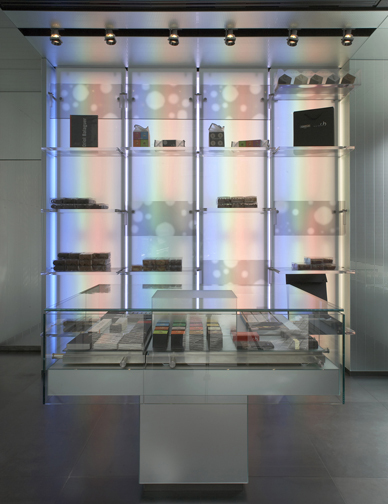 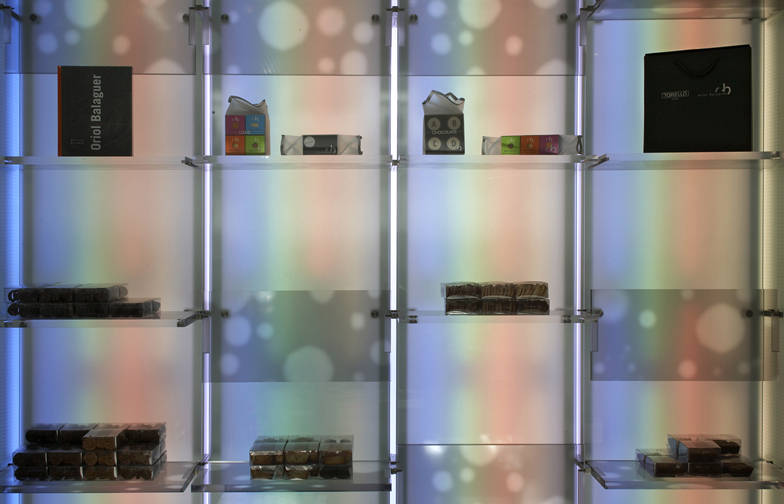 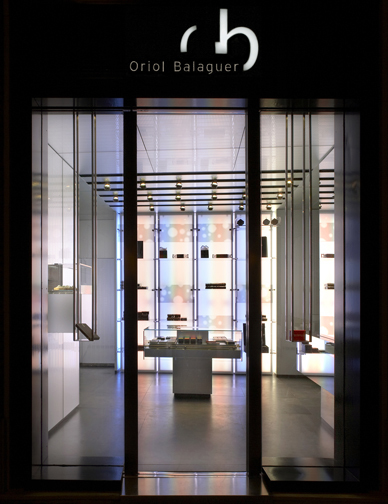 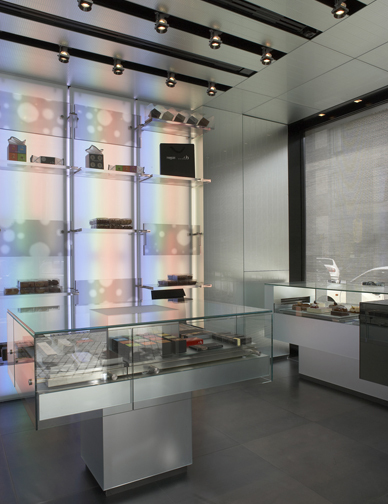 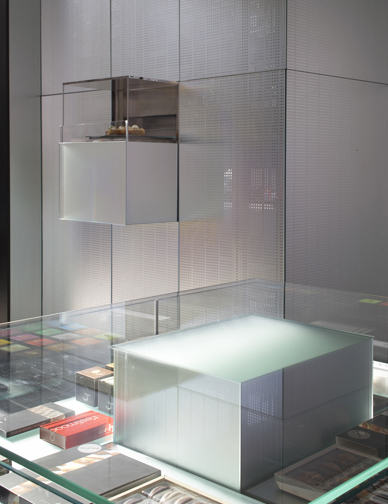 A back lighted display with methacrylate pivoting trays allows for custom configurations of the merchandise and the creation of differing atmospheres of colour.